His Facebook page is filled with photos from graduation, the beach and friends like any ordinary teenager, but Mikey Brannigan is far from ordinary. In 2015, the son of longtime Great Neck Park District (GNPD) Supervisor Kevin Brannigan and grandson of former GNPD Supervisor Desi Brannigan was the third-fastest high school miler with a time of 4:03, the national champion high school 2 miler in the U.S. with a time of 8:42 and a six-time All-American while running for Northport High School. 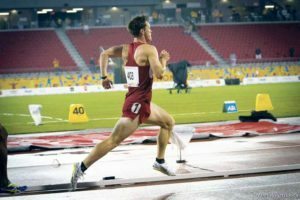 Endorsed by the New York Athletic Club, Mikey is also the current World Champion and World Record-holder in the T20 category 1500m with a time of 3:50. And, earlier this month, Mikey broke the 4-minute mile with a time of 3:57 at the Sir Walter Miler in Raleigh, NC. Diagnosed with autism at age 2, Mikey hasn’t let anything stop him. The 20-year-old from East Northport has qualified to run the 1500m in the T20 category in Rio de Janeiro, Brazil, for Team USA at the 2016 Paralympic Games, a major international multi-sport event for athletes with disabilities, on Sept. 13. And, he’s the favorite to win the gold in Rio. At 18 months old, Mikey started attending the Developmental Disabilities Institute (DDI) in Huntington, which he attended until he was 5 years old when he was mainstreamed in Northport School District for kindergarten. “He didn’t speak unprompted and appropriately until 5 years old,” said Edith. Mikey’s father, Kevin, who grew up in Kings Point and graduated from Great Neck North High School in 1981, has been a senior supervisor of the GNPD for 33 years, and Kevin’s father, Desi, was supervisor of parks for 33 years when he retired, and later passed away in 1999. 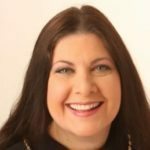 Edith grew up in Great Neck, too, and also graduated in 1981, but from Great Neck South High School. 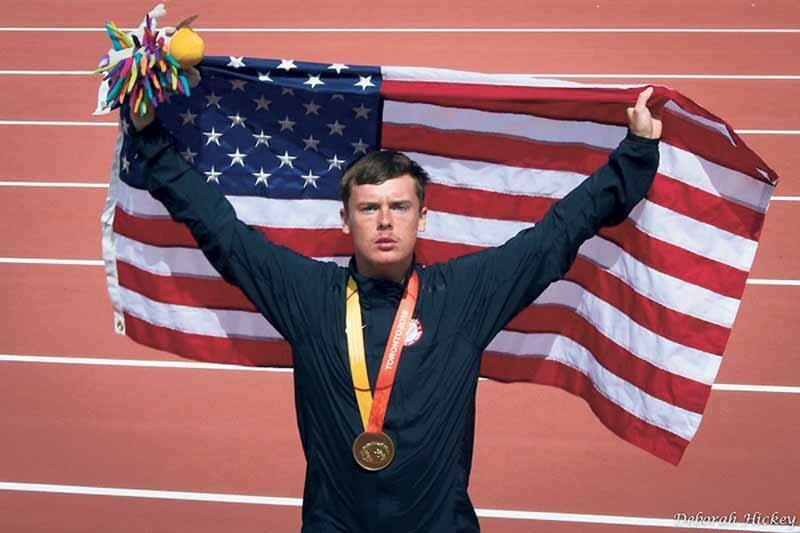 Mikey Brannigan is an elite athlete with autism going to the Paralympics in Brazil this September. In 2014, Mikey came in first in the two-mile New Balance Outdoor Nationals and in the New Balance High School National Champion 4×1 Mile Relay. 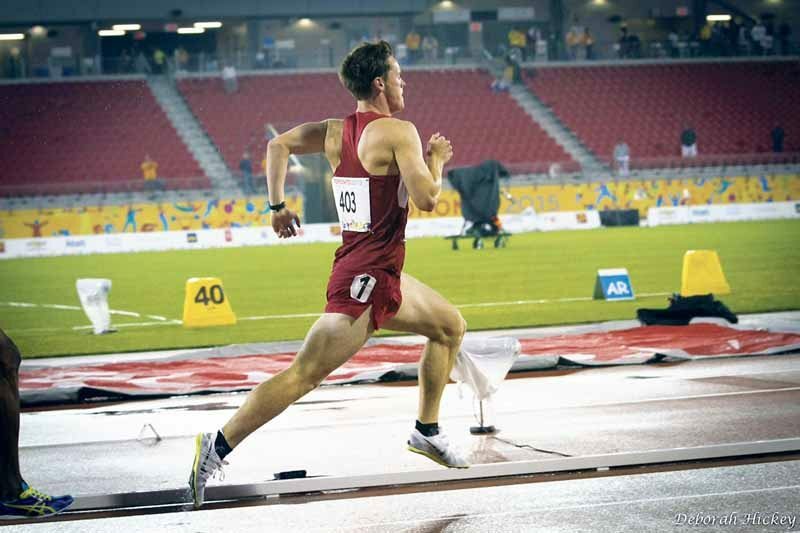 In 2015, he was first in the 1500m and second in the 5000m of the IPC Athletics World Championships, first place in the 1500m U.S. Paralympics Track and Field National Championships and first place in the 1500m Parapan American Games. The 2015 Northport High School grad has accomplished some amazing feats off the track as well. He was named Sports Illustrated’s February High School Athlete of the Month in 2015, was interviewed on ESPN’s E:60 and has been featured on the NBC Nightly News with Brian Williams and Kate Snow, as well as on the Dr. Oz Show. He also appeared in Runners World Magazine, USA Today and Born to Run, a documentary with 1996 Gold Medalist Dan O’Brien. Plus, the runner was invited to be the guest speaker at the 2014 Nassau County Cross Country Awards Dinner, which can be viewed on YouTube.